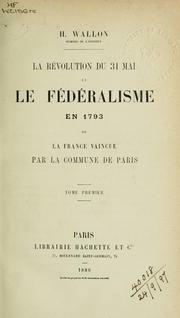 1 edition of La révolution du 31 Mai et le fédéralisme en 1793 found in the catalog. Add another edition? Are you sure you want to remove La révolution du 31 Mai et le fédéralisme en 1793 from your list? ou, La France vaincue par la Commune de Paris. 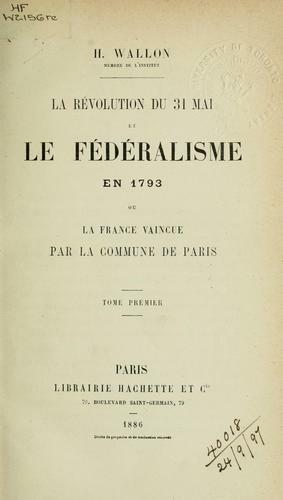 Published 1886 by Hachette in Paris . April 10, 2010 Edited by ImportBot Found a matching record from Internet Archive . April 10, 2010 Created by ImportBot Initial record created, from Internet Archive item record.